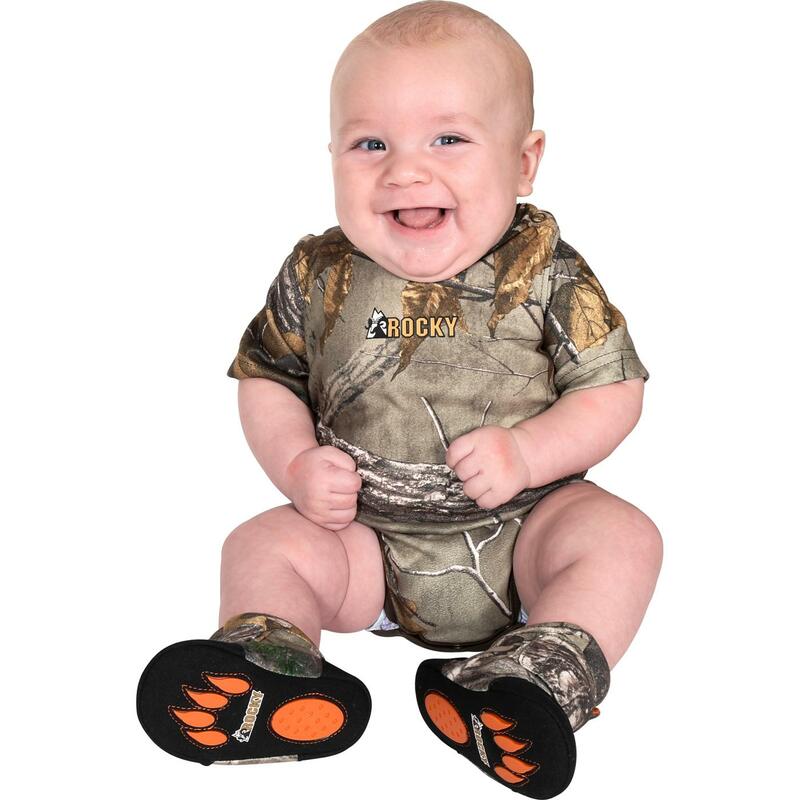 The Rocky® SilentHunter Baby Camo Onesie makes a cute outfit for a baby boy or girl. 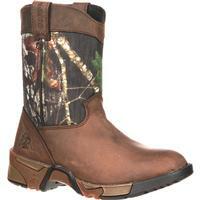 This onesie is made with Realtree APX® fabric, the same pattern you see on hunting clothes. Get one for your baby or as a gift; it's baby's first camo clothes! In keeping with the quality of Rocky hunting clothes, this baby onesie has Rocky Scent IQ™. 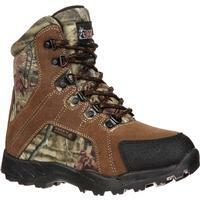 The technology helps hunters remain undetected by prey because it destroys human scent at the microbial level. Now, we can't promise it will destroy the scent of a stinky diaper, but we couldn't resist the humor of using it to create a funny baby onesie. In fact, we put the Scent IQ logo right on the rear! 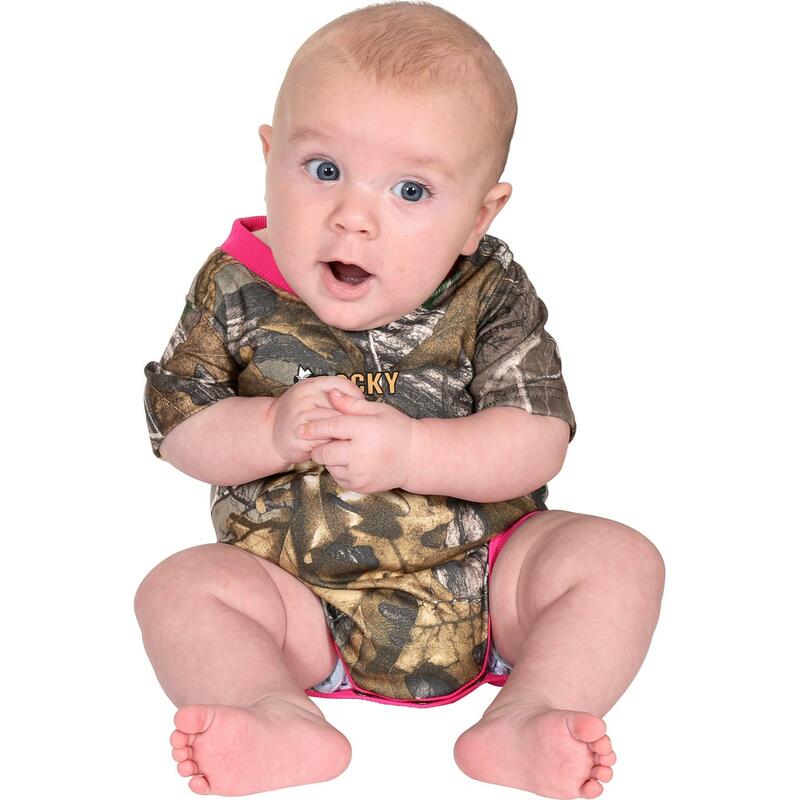 The camo onesie is made of super soft 100-percent polyester microsuede, which gives your baby a comfortable onesie. The clothing comes in two versions. The boys' onesie has brown ribbed trim, and the girls' onesie has bright pink ribbed trim. Of course, one of the main ideas of a onesie is that it is easy to get on and off of your baby. This baby camo is no different. It has snaps across the crotch and across one shoulder for quick changes. 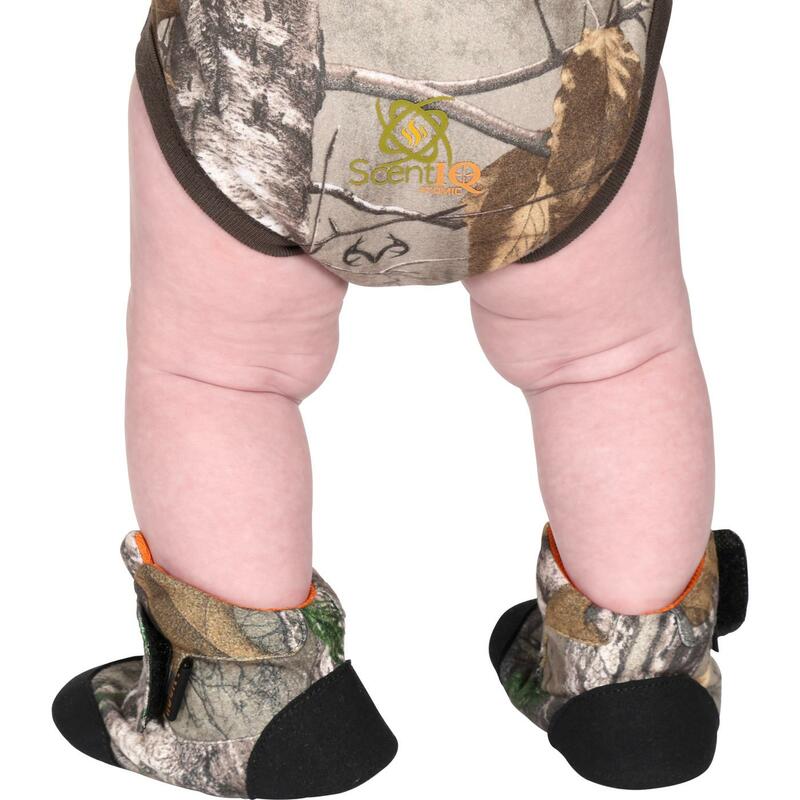 If you're looking for camo baby clothes or a funny onesie, get this Rocky Realtree onesie with Scent IQ!